A picture of Dasani Young that hangs in the house of his one-time foster mother. The mom says both the parents and Indiana’s Department of Child Services share blame for what happened after they left her care. The photos of 4-year-old Dasani Young and his 3-year-old sister Alexia hang on the walls of a home in Northwest Indiana. But this is not the home of their birth parents. Instead it belongs to their one-time foster mother, who says the pictures are a painful reminder of what was lost. “Yeah, I still cry,” says the foster mom who took care of the children for about a year until last summer. “I think about them constantly. Once in a while I’ll still find something of theirs in the house. The other day I was doing laundry and cleaning out my laundry room and I found Dasani’s Superman and well, there’s the tears,” she said. The foster mother asked WBEZ not to use her name to protect other children placed in her care. But the foster mom says that job was taken away from her last June 30th, the day the Lake County, Indiana’s Juvenile Court ordered the return of Dasani, Alexia and another sibling to their birth parents. A case worker arrived to pick up the children. That decision — to return the children to their parents — continues to haunt not only the foster mom, but everyone else who had a stake in the kids’ well being, from a Lake County judge to the head of Indiana’s Department of Children Services. Nearly four months later, no one has been officially charged with wrongdoing. But a WBEZ investigation reveals there are still many questions about who is responsible for Indiana’s children. The children eventually left the foster mother’s home in a nearby city to move to a duplex rented by the birth parents on the 600 block of Sibley Street. Close to downtown Hammond, the home is just blocks from a mega Baptist church, a federal and county courthouse and the city’s police department. The foster mother would see the children a few more times when she stopped by the house last summer to drop off groceries. And for awhile nothing seemed amiss. But Flick would see them less and less as the months grew colder. Then came the frigid night of January 8. A little after 10 p.m., a fire broke out at the family’s home. Flick says she wasn’t overly concerned because she believed no one was living there. When Hammond firefighters arrived on the scene they tried entering through the front door, but they say it was blocked by furniture. 7-month-old Jayden, along with Dasani, 4, and Alexia, 3, all died. The latter two were found clinging to each other. “They were together. It’s something I’ll never forget,” Hammond Chief Fire Inspector Michael Opinker told reporters, fighting back tears. The kids’ foster mother remembers when she first heard the news. The children’s 27-year-old father Andre Young was credited with saving two of his other children from the home, and was hospitalized with severe burns. The children&apos;s mother, Michele Young, was reportedly not home when the fire broke out, something her family has disputed. A relative of Andre Young spoke to reporters at the scene. “He was a very good dad. She’s a good mom. And they just try really hard,” the relative said. Fire officials confirm the house had no running water, no electricity and no heat. They say it was only afterward that they learned that space heaters attached to propane tanks were being used inside the home. City of Hammond officials have faced scrutiny for not moving more quickly to inspect the home that most agree was in a deplorable condition. City officials have said they were always turned away by landlords and had trouble finding the actual property owner. 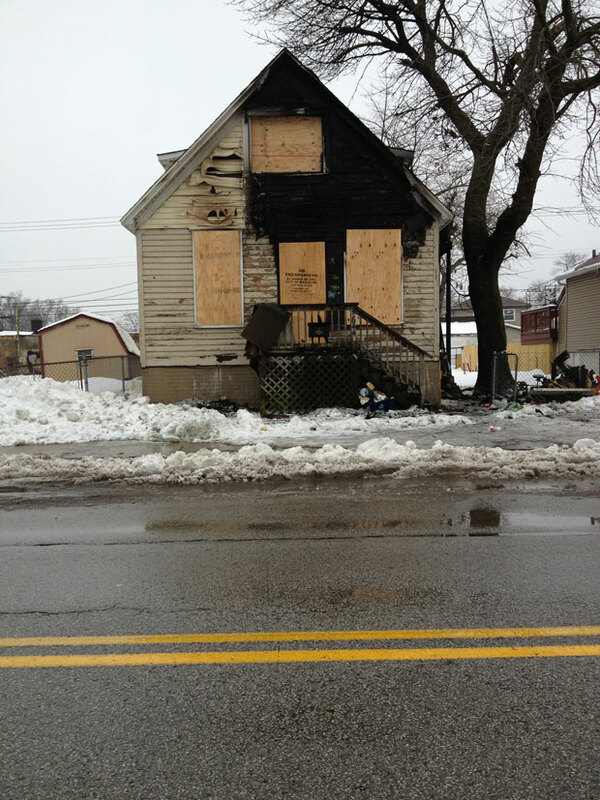 At the time of the fire, city officials say they didn’t know anyone was actually living in the dwelling. Others, like the foster mother, are questioning the role of Indiana’s Department of Child Services (DCS). For instance, how could DCS allow the children to return to a home with no utilities? DCS Director Mary Beth Bonaventura says she wonders the same thing. 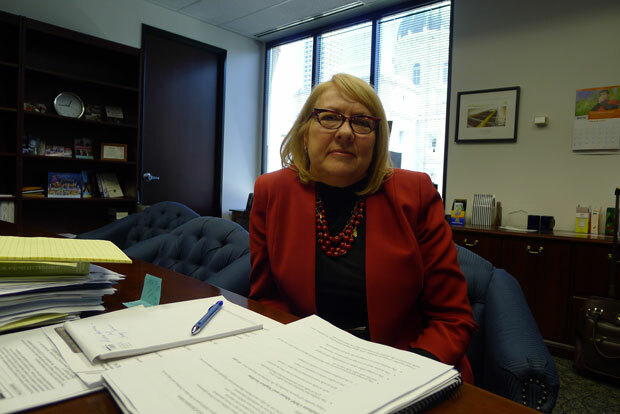 “I can tell you we ordered an investigation as this agency to find out if we dropped the ball, where we dropped the ball, to make sure that it never happens again," Bonaventura told WBEZ in an exclusive interview at her office in Indianapolis. A little more than a year ago, Bonaventura took over as head of DCS at the urging of Indiana’s Governor Mike Pence. At the time, many viewed DCS as a troubled agency plagued by low pay, high staff turnover and long-delayed investigations into child abuse and deaths. Before that, Bonaventura served as the main juvenile judge in Lake County for 31 years. The same court that oversaw the case of Dasani and Alexia. Even though juvenile court records are sealed, Bonaventura shared some information about the case of the children when they were in foster care. Bonaventura says the magistrate judge in the case, Glenn Commons, had to follow the law. Bonaventura also suggested that so-called wardship was dismissed during the hearing, meaning DCS no longer had standing to continue tracking the children upon their return to the family. “Once wardship is dismissed then DCS doesn’t go back out there. The only reason DCS would ever go back out there if wardship wasn’t dismissed and then we are supposed to see children every 30 days,” Bonaventura said. WBEZ reached out to Lake Superior Court Juvenile Division Magistrate Glenn Commons for comment, but he declined citing Indiana law. However, Bonaventura says Commons reached out to her following the tragic fire. But Bonaventura suggests that Andre and Michele Young were not truthful when they went before the court to get their children back. “Obviously, it seems like those people lied to the court, they lied as to what their situation was because on the day that they were in court, everything was in order and months later the kids were dead and they had no electricity,” Bonaventura said. Several parts of the system — from the landlord to city inspectors to the utility company (NIPSCO) — have been criticized for failing to prevent the kids’ deaths. The foster mom says the Department of Children Services also needs to be held accountable. “DCS should be responsible for not following up on the house and making sure that the day they took them out of my house, where they had NIPSCO and TV and food and water and clean clothes and lots of love, that they weren’t placed where they had nothing,” she said. But Bonaventura, the head of DCS, says ultimately it comes back to the parents. According to published reports, a grandmother of the two surviving children is seeking custody of the children, who are said to be living in foster care. 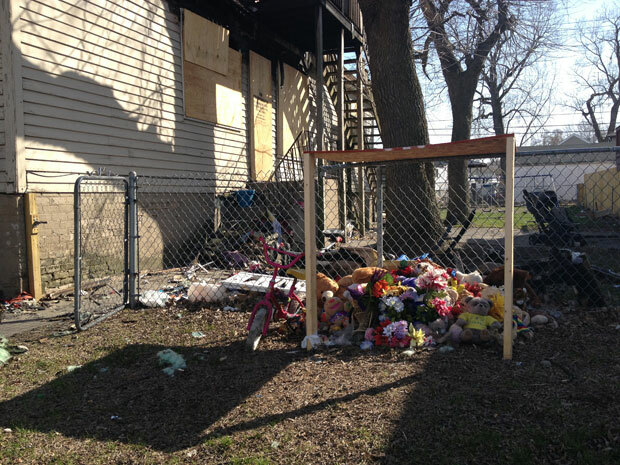 Meanwhile, the house at 644 Sibley Street in Hammond still has teddy bears and candles out front to honor the memory of the three children who died. Pretty soon memories are all that will be left. The city says the house is scheduled for demolition. Michael Puente is WBEZ’s Northwest Indiana Bureau Reporter. Follow him on Twitter @MikePuenteNews and visit the WBEZ NWI Bureau Facebook Page.